If you walk into my kitchen right now there’s a regiment of muesli boxes, led by a package of granola, lined up in neat formation on the countertop. Every single one of them has been opened and tasted, eaten for breakfast, lunch, dinner or snacks by yours truly. I feel like the Queen of Muesli, and so I should — I’ve been eating muesli that’s fit for a queen. When Food Bloggers of Canada announced an opportunity for 10 bloggers from Ontario to participate in the Dorset Cereals® blogathon, the first thing I did was go to the company’s website to check out their products. Now, you know that I’m an advocate of cooking from scratch. But, like the rest of you, I’m not superhuman and there are days that I turn to packaged foods. But, even when I’m in a rush or simply don’t feel like cooking, I don’t want to eat anything with long lists of chemical ingredients I can’t pronounce. So, I was delighted to learn that these products are made with all-natural ingredients. There’s nothing unpronounceable or otherwise in conflict with my real food philosophy here. I applied to the blogathon and here I am, literally eating muesli morning, noon and night, all so I can report back to my readers on this product. It’s important to me, and to the integrity of my blog, that I be honest and balanced in any product reviews. That said, I am wholeheartedly enthusiastic about these mueslis. I liked the granola, too, as did my daughter who tasted it, but that’s a product that I’m not as likely to use since it’s pre-sweetened. 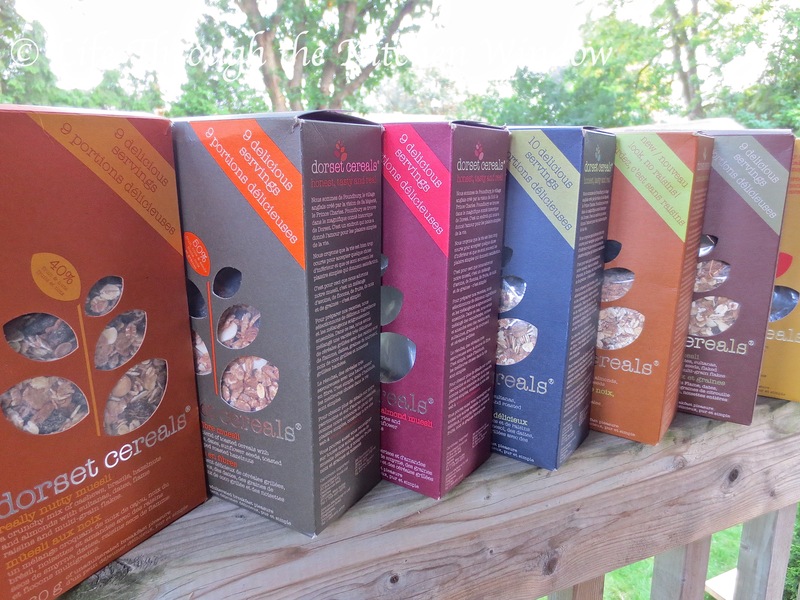 There are many different mueslis and granolas in the Dorset Cereals® line; the generous sampling of seven boxes I received is a cross-section. As soon as I opened the first box, I was impressed by the quality and size of the ingredients. There were whole and chunks of nuts, like almonds, cashews, Brazil nuts and hazelnuts, dried fruit including plump raisins, chopped dates, cranberries, coconut and even cherries (I adore dried cherries! ), pumpkin and sunflower seeds, and lots of whole grain flakes, including oat, wheat and barley. And they don’t stint on these premium ingredients either: the proportion of fruits, nuts and seeds in their mueslis varies up to as high as 60 percent. So, what would you do with six boxes of muesli? I enjoyed these with milk, for breakfast, and just about any other time of day. One of my favourite evening snacks is a bowl of cereal, and this muesli took that experience to a whole new level. My favourite breakfast at the moment is sliced fresh local strawberries, Super High Fibre Muesli and plain Greek yogourt, a dish that manages to be simultaneously indulgent and virtuous. The Honey Granola, with big pieces of pecans, flaked almonds, sunflower and pumpkin seeds and British honey made a nice snack right out of the box. 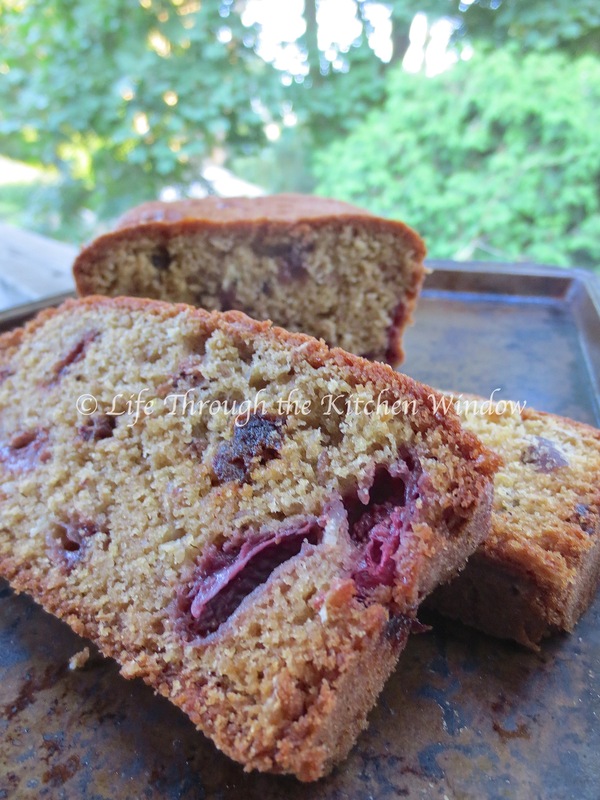 I also used it as a crunchy topping for some Rhubarb Bran Muffins. I crumbled some of the bigger chunks of granola into smaller bits, and mixed it with stewed rhubarb and more honey. It does caramelize quite quickly in the oven, due to all the honey, but its crunchy sweetness was a fine contrast to the tender muffins. I also used the muesli in other baking, such as a Sassy Rhubarb Strawberry Crisp with a Muesli Crumble and a Strawberry Muesli Tea Loaf, recipe below. I didn’t want the sweetness of raisins in competition with the fresh seasonal fruit in these recipes, so I used Simply Nutty Muesli. 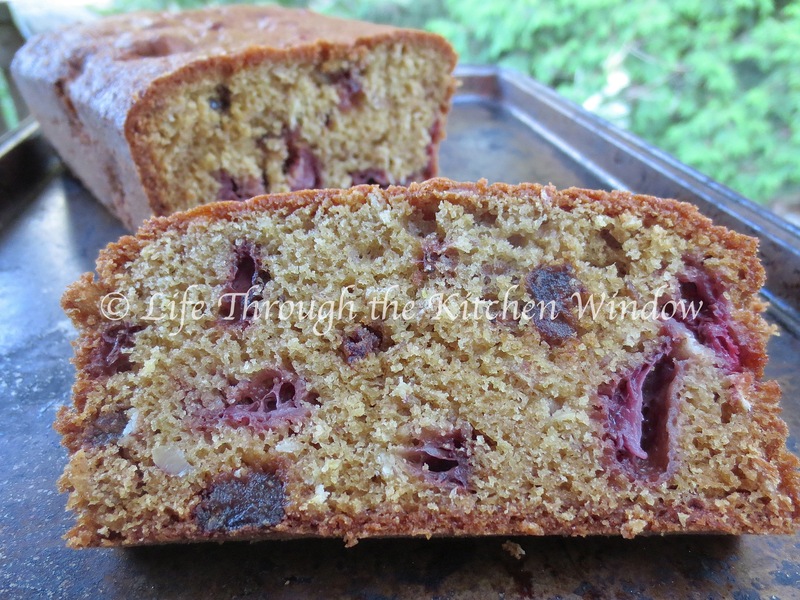 The only fruit it contains is chunks of dates, but their sweetness is more subdued. 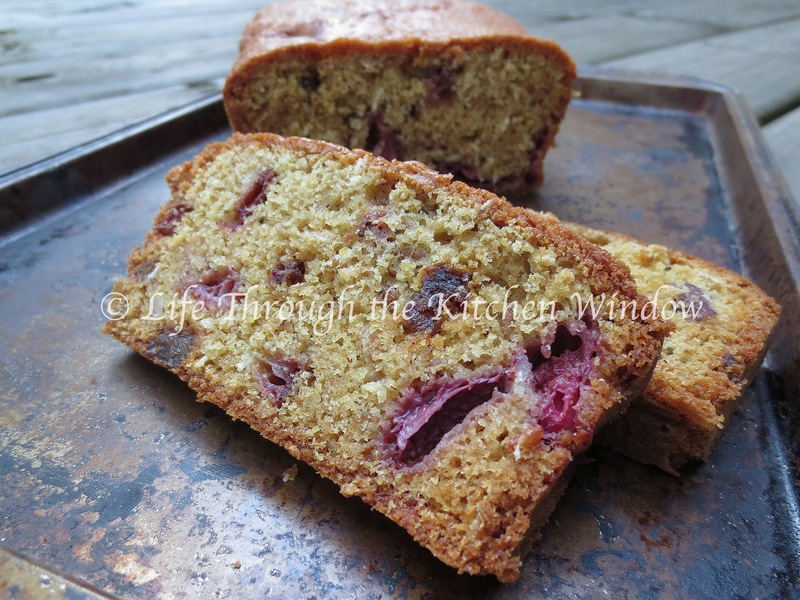 The tea bread was tender, moist and subtly flavoured by the large chunks of fresh strawberries baked into it. The muesli added body to the loaf, and a medley of textures and flavours through the chewy dates and crunchy chunks of Brazil nuts and whole almonds. Dorset Cereals® motto is “Honest, Tasty and Real” and my experience with their product bears this out. Their mueslis and granola are wholesome yet an indulgence, and versatile. With a factory located in Poundbury village in Dorset, England, an experimental community designed in accordance with the architectural views of Prince Charles, is it any surprise that, in my opinion at least, these products are fit for royalty? Pre-heat the oven to 350ºF. Prepare a 9″x5″ loaf baking pan by buttering and flouring it. Combine the flour, baking powder, baking soda and salt and set aside. Cream the butter and sugar. When fluffy, beat in the eggs and vanilla. On low speed, blend in the dry ingredients mixture. Add the milk to loosen the batter. On the lowest mixer setting, stir in the muesli until just incorporated. Remove the bowl from the mixer and gently fold in the strawberries. Spoon the batter into the prepared pan, leveling the top, and then bake for 60 minutes, or until the top is dark golden brown and a tester comes out clean. Next Cream Cheese, Cranberry & White Chocolate Blondies: Red & White for Canada Day! I really do like the look of that slice, Mar, with that large piece of strawberry. I’m not a breakfast person and would much rather have a slice of your bread over a bowl of cereal. It really does sound good! Thanks, John! This bread is a nice pick-me-up any time of day, and it’s not too sweet either. This is the first time I’ve ever bake with strawberries. What took me so long? Great post Mar….yummy looking food. Thank you – I was glad to hear the guys at work enjoyed it!